Check out our new ladies' straw with chin strap!! 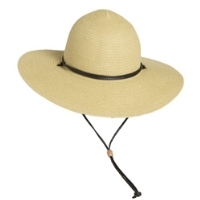 For a more sophisticated look when shielding your eyes from the sun try this one on for size! It has a 4" brim and fits most head sizes.